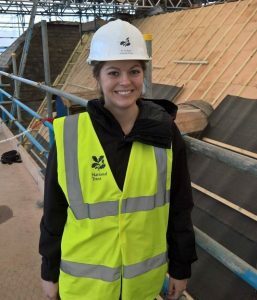 Bio: Kim is undertaking an MSc in Conservation Practice at Cardiff University and specialises in the conservation of marine archaeological materials. She volunteered with MSDS Marine on the #Rooswijk1740 project team during its first excavation season in 2017. I first worked with MSDS in September 2017, when I joined the #Rooswijk1740 project as a volunteer. During my time on the project, I was trained to record small finds with a structured light scanner (SLS). This method efficiently created 3D models of smaller artefacts which complemented other traditional recording techniques. These models could then be uploaded to the MSDS Sketchfab and shared with other specialists and the public. 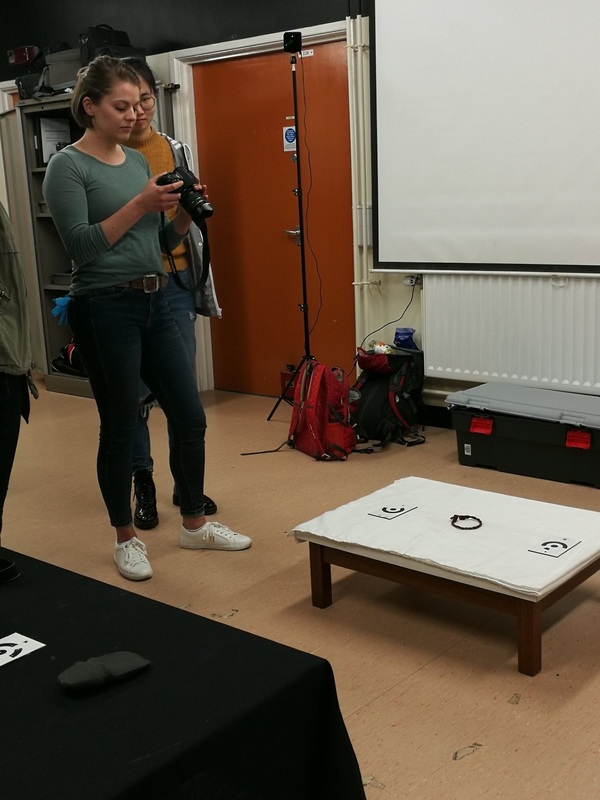 Last month, a group of conservation students at Cardiff University had the opportunity to attend a 3D scanning and photogrammetry course offered by MSDS. MSDS has frequently employed these techniques for the purposes of surveying and monitoring archaeological sites, and they are working to share this expertise with other specialists in the heritage sector. 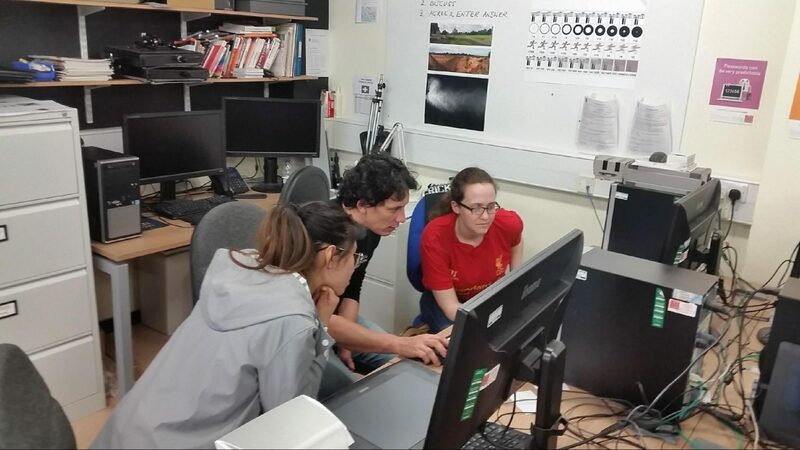 During the course, CU students learned to create 3D models of heritage objects using SLS and photogrammetry. As with the small finds from #Rooswijk1740, SLS was more efficient when recording smaller objects which can be scanned and processed relatively quickly. 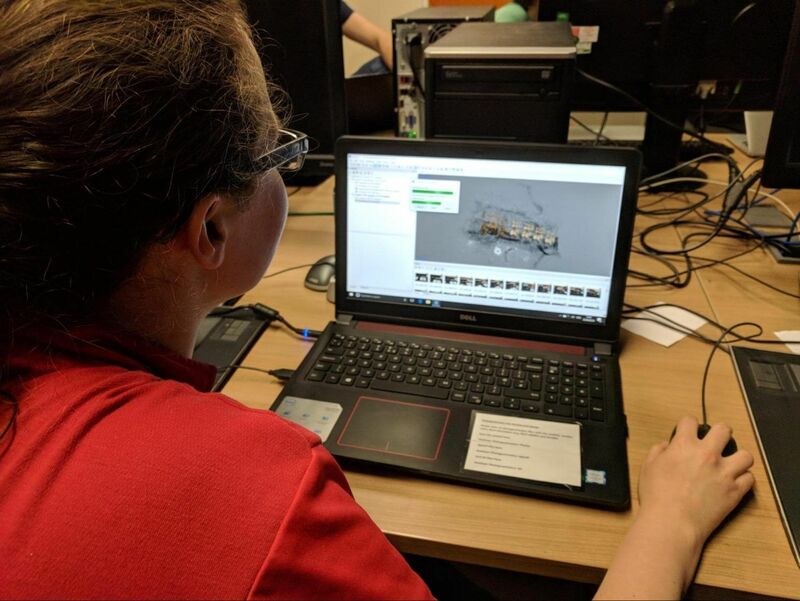 Although photogrammetry can require longer processing times, especially for novices like myself, it can be applied to a wider range of heritage contexts at a lower cost – all you need is the software. I selected two objects to record – an iron-plated milestone (pre-conservation) and a mineralised textile (post-treatment). 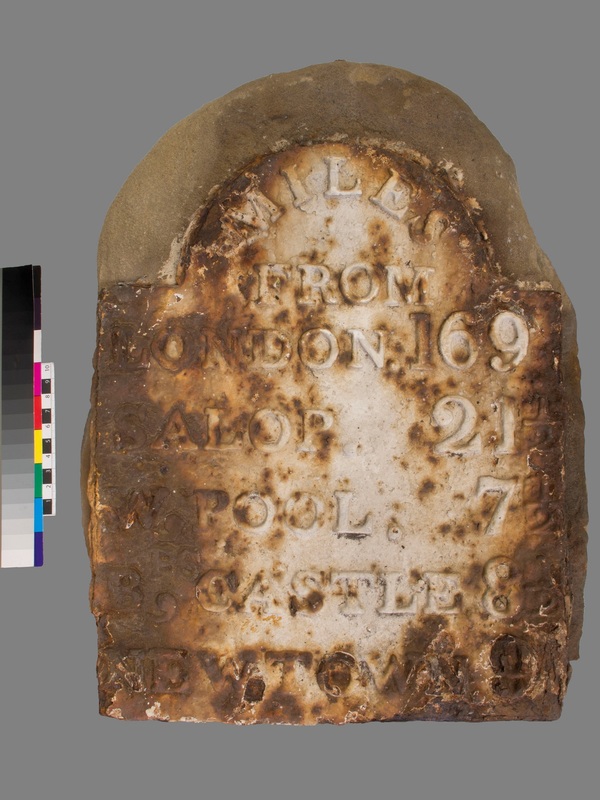 The iron plate on the milestone had extensive corrosion, so thorough documentation of the milestone and its inscription was a necessary part of its conservation and preservation. Since the object was too heavy to be easily transported to the photography studio, it was photographed in its place in the conservation lab. The resulting model, processed in Agisoft, proved useful in recording and preserving the object’s surface and highlighted the application of photogrammetry for built heritage and in situ works. Agisoft Beginner’s Note: Expect to watch lots of YouTube videos and send plenty of screenshots to friends! The mineralised textile from Porthcawl Museum, a rope fragment found in the concretion of a cannon, was recorded with both SLS and photogrammetry. Due to the object’s flexibility, I was unable to capture exact mirror images of both sides which made it difficult to create a complete 3D model. However, the aim of recording was primarily to create a digital record of the artefact’s weaving, which may be useful to specialists and is likely to deteriorate due to the iron corrosion products. For this purpose, both approaches were successful. At the end of the course, conservation students had created models for archaeological artefacts, decorative objects, and a painting. As these recording techniques are increasingly utilised in the heritage sector, it is an important skill for emerging conservators. Although I had to “phone a friend” and repeat steps more than a few times, I learned a lot about both methods and their respective software. 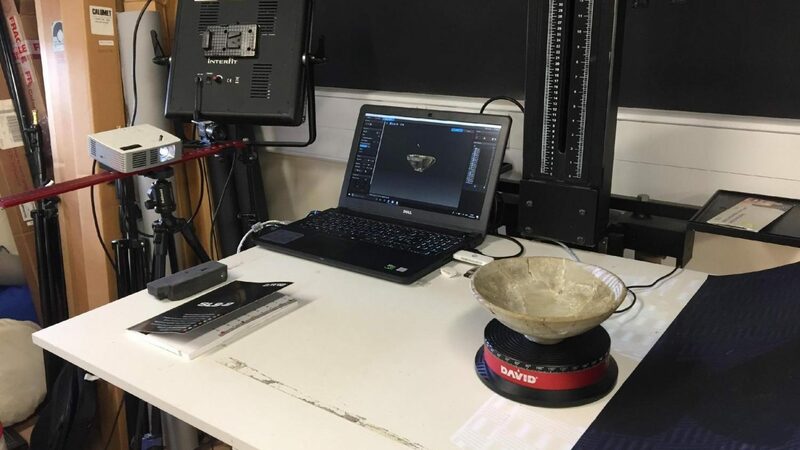 As a result, I now feel comfortable independently recording artefacts with SLS and photogrammetry and look forward to applying this to more conservation projects in the future! Special thanks to Mark James, Rodrigo Ortiz, Mateusz Polakowski, and Eric Nordgren for organising the course and equipment loan.